The Fairtree Assegai Equity Long Short SNN QI Hedge Fund has been named Fund of the Year at the prestigious HedgeNews Africa Awards 2017, which were celebrated at a gala dinner at the Vineyard Hotel in Cape Town on February 22, 2018. Fairtree Assegai picked up a total of four nominations on the night – for calendar-year 2017 performance and for its longer-term track record over three and five years. It earned top honours for the highest return for a South African hedge fund over the 12-month period, gaining a net 22.47% in 2017 with a Sharpe ratio of 1.04. In the South African equities category, the industry’s largest, the Capricorn SCI Performer Qualified Hedge Fund won the award, rising 19.59% with a Sharpe ratio of 1.52, making it one of the few funds in the HedgeNews Africa database to keep pace with a 20.95% rise in the JSE All Share Index last year. In the fixed income category, the award went to Nautilus MAP130 RHF, managed by Terebinth Capital, with a strong net return of 20.05% and a 2.55 Sharpe, in a year in which South Africa’s All Bond Index gained 10.22%. Amongst South African market-neutral and quantitative funds, the award went to the Peregrine Capital Pure Hedge H4 QI Hedge Fund, which gained a net 11.29% on a Sharpe ratio of 1.17. Amongst South African multi-strategy funds, the Peregrine Capital Flexible Opportunity H4 QI Hedge Fund emerged victorious with a 17.93% net return and a Sharpe of 3. In the specialist strategies category, the Catalyst Alpha Prescient QI Hedge Fund, a real-estate-focused mandate, collected the trophy, with a 12-month return of 19.55% and Sharpe ratio of 2.58. Pan Africa portfolios enjoyed a strong year, led by the Steyn Capital Africa Fund, which was well ahead of its peers with a stellar 66.01% net return on a Sharpe ratio of 3.71. In the fund of hedge funds categories, the TriAlpha SNN Enhanced Fixed Income QI FoHF took the honours amongst fixed income portfolios with a 9.02% net return and a Sharpe ratio of 2.06, while the Edge RCIS Portable Alpha 1 QI Hedge Fund was victorious in the multi-strategy category with a 14.68% return and a Sharpe ratio of 0.62. In the longer-term categories, judged over three and five years, the Catalyst Alpha Prescient QI Hedge Fund secured its second award of the night with an annualised 16.34% net return and a Sharpe ratio of 1.28 while the Peregrine Capital High Growth H4 QI Hedge Fund triumphed in the five-year category with an annualised net return of 21.53% and a Sharpe of 1.93. The Citadel Multi-Strategy H4 QI Hedge Fund won the fund of funds award for five-year performance with an annualised 11.05% return and a Sharpe of 1.09. The RCIS THINK Growth QI Hedge Fund received the kudos over three years with an annualised 8.87% net return and a Sharpe of 0.47. The New Fund of the Year award, which looks at funds launched within the past 12-23 months, went to the Senqu Long Short Prescient RI Hedge Fund, which made a strong start to deliver a net first-year return of 16.83% on a Sharpe of 1.39. In total, 38 funds were nominated across 14 categories, with the awards ultimately going to those funds with the top return provided their Sharpe ratio was within 25% of the top Sharpe in the category – a method to appraise consistency of returns. “The impressive list of contenders for the 2017 HedgeNews Africa Awards has again demonstrated that alternative strategies have an important role to play in investor portfolios. Many funds have delivered strong returns while shielding against downside risks, showing the ability to deliver capital growth and protection,” said Gwyneth Roberts, editor of HedgeNews Africa. 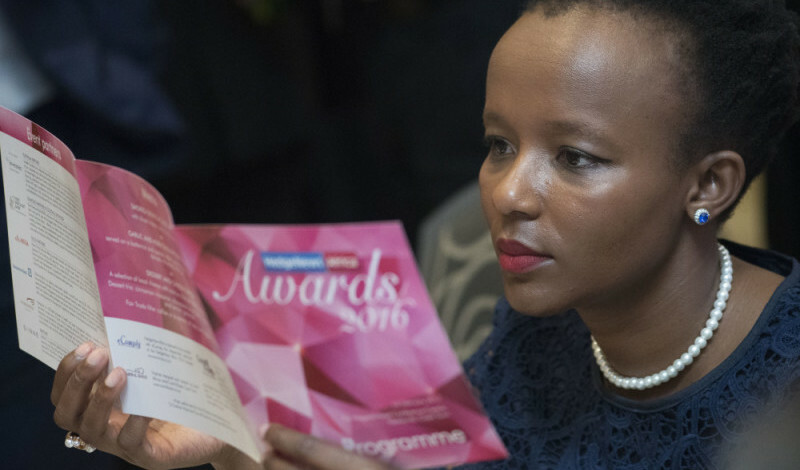 Attended by the industry’s leading fund managers and investors, the annual awards are hosted in partnership with top industry service providers, namely Investec Prime Broking, RMB Prime Broking, Absa Capital, Deutsche Bank, Peregrine Securities and SANNE. To qualify for a nomination, funds must average a minimum of $10 million, or R80 million, in assets under management throughout the calendar year. Exceptions are made in the new fund category, which allows for lower AUMs and considers funds with a track record of 12-23 months (with the award based on calendar-year returns) and the long-term awards, for which higher minimums apply. Nominations are based on an established quantitative methodology in an effort to judge the best risk-adjusted returns, with the award ultimately going to the fund with the highest return provided its Sharpe ratio is within 25% of the top Sharpe among the nominees in each category. Exceptions are made in categories that combine different strategy areas, where other quantitative criteria may need to be applied. Funds submitting monthly returns to our database are automatically considered for the Awards. New funds can submit data to data@hedgenewsafrica.com before the end of November. Data used in deciding the awards will be independently examined by eComply Consultants.